Přepisy úloh poslechu jarního didaktického testu 2014 poslouží k přípravě na maturitu angličtiny. Ideální pro finální kontrolu po poslechu, pokud některým částem poslechového subtestu nerozumíme. Velmi efektivní metodou k přípravě na maturitní poslech z angličtiny je vždy několikrát poslechnout, a následně si poslech dát ještě jednou i s přepisem poslechu. 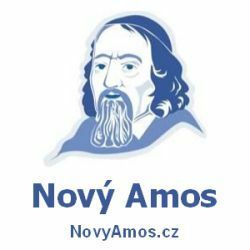 Mnoho pohodového učení přeje Nový Amos. Woman: Again? What’s wrong with your car this time? Is it being repaired again? Man: Well, actually, it’s in a lake. Man: Yeah, I parked it on the hill behind my work, you know, under the apple tree where I always park and I forgot to put the hand brake on. Man: …and straight into the water. Woman: That’s crazy. Can they fish it out? Man: That’s what they’re trying to do now. And then it’ll have to go back to be repaired. And now your morning news. Students of Franklin school will be happy to hear their school is closed today. But parents needn’t worry. The closing have nothing to do with the planned teachers‘ protest next week and the school officials say that today will be the only day students will miss classes. The head teacher, Larry Woods, apologized saying that therecent ice and snow damaged power lines near the school and it is without electricity. Therefore the school’s lights and heating are not working and headteacher Woods doesn’t want his teachers and students to go to a whole day in cold classrooms and get sick. Lesson should begin again tomorrow, as normal. A: Nicole, I have a reservation for tomorrow night at that new Italian restaurant. Would you like to go? B: I thought that you were going with your mother. A: That was my plan but she cancelled. Now, she’s going to dance with my father instead. He never goes dancing. She was so excited when he asked her to go. B: Huh, well, I’d love to go with you but tomorrow night I can’t. I have tickets to th etheatre. You know how I love Shakespeare. A: OK. Well, I’ll still see you tomorrow morning at the gym then. A: Thomas, are you looking for something? B: Yes, have you seen my blue shirt? A: Here. But I hope you don’t want to wear it. A: Thomas. For what’s. You could put on something more suitable instead of those old clothes. What about the new green shirt? B: But it’s not as comfortable as the blue one. And the blue shirt is also lucky for me. Just like Pete Mary’s shirt was luck for him. A: I don‘t really care about what your fans wear. B: But Pete was a famous basketball player. He wore the same shirt throughout his entire career. B: Well, are you ready? I’m hungry. And our table reservation is for quarter past six. So we have to leave at quarter to six at the latest. And where is the babysitter? It’s already half past five. Didn’t you tell her to come at five? A: Yes. I did. I’m sure she’ll be here soon. Get your jacket and I’ll check if Mark has done his homework. Did he tell you about failing his history exam? He’ll repeat it on Thursday. I really hope he’ll pass it. And his teacher said he’s always late for school. A: That must be the babysitter. Can you let her in? Oh, and please tell her that Mark needs to be in bed by 9 o’clock. I have to leave early tomorrow morning and I won’t be able to take him to school by car so I don’t want him to oversleep and miss the school bus. B: OK. Oh, honey? Have you seen my car keys? A: Thomas, you’re always loosing things. And you put your car keys in the most stupid places. Then we never make it anywhere on time. Look at me. I’ve already been waiting for you for five minutes. As usual. B: As usual? Last time it was me saying: “Come one honey, it’s time to leave.“ But you were putting on your make-up and doing your hair. I was ready on time. A: There is no point in discussing it now. I promised the babysitter that we pay her 30 Dollars this time. Do you have the cash? B: Sorry, we’ll have to give her the money when we get back. The bank on the corner here is already closed. So I have to stop at the cash machine to take out the money when we’re getting to the centre. Welcome to the Ernest Hemingway Home and Muzeum in Key West Florida. This is the house where Ernest Hemingway and his second wife Pauline lived for over ten years. He wrote seven novels in his house. A Farewell to Arms and Green Hills of Africa are his two most famous works from a ten-year Key West period. The house was built in 1851. We know architect Asa Tift had about 14 slaves to help during the construction. Ernest Hemingway visited Keywest for the first time in 1928. The house was empty and Hemingway liked it a lot. He finally decided to buy the house in 1931 for 800 Dollars. And now we’re entering the living room. By joining two rooms together, Hemingway’s wife increased the size of the living room and had enough space for paintings from her husband’s collection. And right over there, you can see an example of this collection. A view of Saint Paul’s Church, painted by a local artist. Hemingway’s wife was a great collector, too. Sofas and cupboards from her collection filled all the rooms in the house, not only this living room. Also, notice that orange lamp next to the door. It was used during the Broadway production of Hemingway’s play. Ernest and Pauline had gthe first swimming pool on the island. And the tropical fish, which they kept as pets, probably enjoyed it more than Ernest and Pauline. Hemingways also loved cats. And even today, there are still over sixty cats at the house. Hemingway’s first cat, named Snowball because of its white colour was a present from the captain of Hemingway’s ship. But back to the pool – only a few know that it was Ernest Hemingways himself who made the plans for the pool. The side where the pool is located today was originally Hemingway’s famous boxing ring where he practised with local amateur boxers. When the construction of the pool started, the ring was moved to another place. I have this strange new flatmate who, when I interviewed him for the room, was well dressed and clean. So I thought he’d be tidy around the flat. Instead, he’s like a very messy ghost. You never see or hear him but you find his things everywhere. T-shirts on the floor, unwashed dishes in a sink… I don’t understand those dishes either because all his food always stays in the fridge. He never eats it. He must keep some food in his bedroom then. But when does he buy it? He’s at home 24 hours a day and only leaves his room to use the toilet. It makes me so uncomfortable that I‘ve started locking my bedroom door at night. What’s this? Another fine? Just perfect. Last week I got one for driving too fast on the motorway and had to pay 50 pounds. But no one respects the speed limit. It’s just too slow. Now, I’ve come back from the shopping and found this ticket on my windscreen. What do they men: “No Parking Zone“ ? This is unfair. I mean, where else can I park? I’d like to find the policeman who gave this to me, but then, he’d probably just fine for arguing with him. A: Hi, Justine. How was your date last night? B: Oh, Mark. There wasn’t one. B: Richard cancelled it. He phoned and said he had an important last minute business meeting to go to. A: That’s too bad. But, are you going to see him next week? B: No. He said he’ll be busy because some friends are coming to visit him. So, I aksed about some time later and that’s when he told me the truth. He had changed his mind. He apologized but said that when he saw the picture I e-mailed him he just wasn’t interested anymore. A: So, he lied to you. He didn’t really have a business meeting or friends visiting, right? He just didn!t like the way you look. A: Excuse me, I’d like to return these shoes, please. A: Well, I usually wear size 40 but these are size 42. B: So they’re too large, huh? A: Quite the opposite. They’re too tight. It hurts to wear them. The size must be wrong because I don’t understand how size 42 can be that small. That’s even smaller than my usual size 40. B: Well, every shoe is different. Here, let me see them. A: I really hope I can exchange them. All my oxfords that go with my suits have holes in them. B: No problem, as long as you didn’t make any holes in this pair, we’ll gladly exchange them.